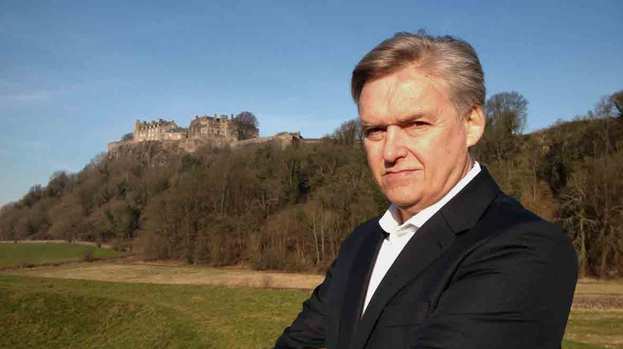 For more than a quarter of a century, Iain Macwhirter has been a leading political broadcaster on television and radio. Iain became the BBC’s Scottish Political Correspondent in 1987, and moved to London in 1989 to become a parliamentary lobby correspondent. In 1990 he became a BBC TV network political presenter, fronting initially “Scrutiny”, on BBC2 – a weekly half hour television programme devoted to the investigative Westminster Select Committees. This covered stories like arms to Iraq and the Maastricht Treaty row. In 1992 he moved over to present “Westminster Live” on BBC 2 Network three times a week. He also made one-off documentaries such as “Hung Parliament” about Westminster’s art collection and made a number of radio documentaries about mountaineering. In 1999, with the creation of the Scottish Parliament, Iain returned to Scotland to present “Holyrood Live” on BBC 2 Scotland three times a week until 2007, when he moved into a comment role. He remains one of the most respected commentators on Scottish and UK politics in constant demand from Radio 4, Newsnight, Scotland Tonight, Good Morning Scotland and many more. You can watch and listen to samples of Iain’s shows below. Iain’s Bafta-nominated television series exploring how Scotland went from being at the heart of the Union in 1945 to a referendum on independence. Progamme 1: 1945 to 1974. Scotland emerges from the war against fascism thoroughly British and enthused about the opportunities of the welfare state. The SNP is a joke party. But 22 years on, disillusion has set in and the SNP’s wins its first peacetime election victory at Hamilton in 1967. Then oil is discovered in the North Sea. Programme 2: 1974-1992 Mrs Thatcher takes over in Number 10 after the anti-climax of the 1979 devolution referendum, when Scotland voted Yes but not by the 40% required under the Scotland Act. Industrial Scotland collapses. The poll tax is imposed a year before England. Programme 3 1992-2013 The Scottish parliament is reconvened after three hundred years. The SNP wins a landslide victory in the 2011 Scottish parliamentary elections. Scotland is torn between independence and the Union. But will she say, or will she go? “REFERENDUM TV” Don’t bemoan the media, become the media. At the 2014 Edinburgh Festival, Iain co-presented a chat show from the Hill St Theatre which was broadcast live by a team of volunteers using off-the-shelf equipment. No broadcasting organisation was harmed in the making of these programmes. Scotland’s nationalist government will present Scots with a referendum on independence in 2014. But what has the experience been in Quebec, where they had a succession of independence referendums from teh 1970s to 1990s which never seemed to resolve the national question there? Journalist Iain Macwhirter has been to Montreal to investigate the phenomenon of the Neverendum. Listen again here. Glasgow- the sick man of Europe- still isn’t feeling so good. Iain Macwhirter explores why Glasgow suffers from mortality rates higher that even expected from the levels of deprivation in the city. How it has overtaken industrial cities like Liverpool and Manchester and even former communist countries in the league tables of premature mortality. Iain has his own vested interest. Despite a healthy lifestyle, he succumbed to coronary heart disease in 2010 and was astonished when consultants declared that it was a result of ‘just being Scottish’. Can we get to the bottom of what’s making Scotland sick? Listen again here.